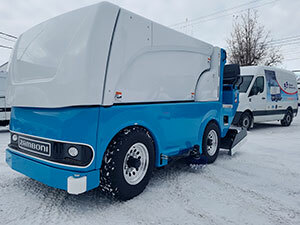 A sublime Zamboni 650 for Dollard-des-Ormeaux! Santa came late this year, at Dollard-des-Ormeaux. After the holiday season, the city got their new electric ice resurfacer into service. This sublime Zamboni 650 is the seventh of this model in the entire province, and it is wearing proudly the city’s colors!